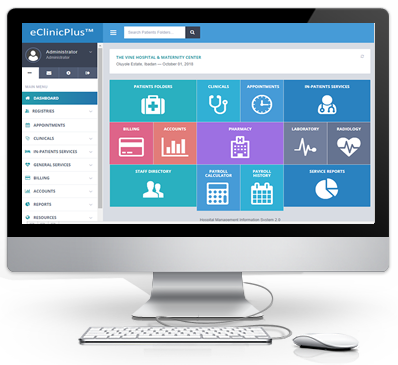 eClinicPlus is a robust hospital management solution that will enable your healthcare center to automate office procedures and reduce operational expenses. eClinicPlus will help ensure that your patient care needs are addressed, from patient histories, billings, management to prescription writing. eClinicPlus is suitable for Multi-Speciality Hospitals, Clinics and Laboratories. eClinicPlus is specifically engineered to suits any type of Hospital. An infrastructure with eClinicPlus eliminates the need for over-engineering and has high scalability which can be customized for any process.